Why is this 1964 Saab worth nearly half a million dollars? Because it does Mach 2 and was designed to kill people. Yes, this is a SAAB Draken for sale. It is currently located outside of sunny Sacramento, California, but it has seen duty in Sweden, Denmark, Austria, and Finland, as the amazingly understated for sale listing notes. 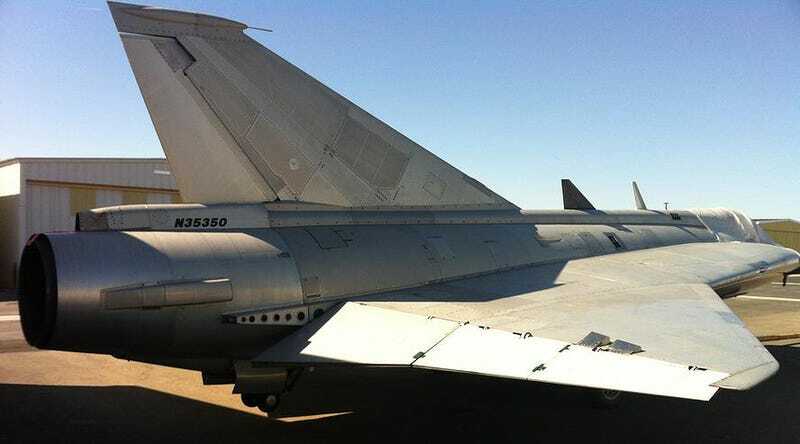 The ex-fighter jet, one of the fastest (and coolest) of its day, also comes with modern GPS located where the radar scope and gun sight used to be. This will be a major bummer for anyone buying this thing to fight ISIS in vintage style. This ad popped up on Bring A Trailer, which wisely noted the importance of a line I didn’t pay much attention to in the ad. In addition to its recent overhaul, this Draken comes with a current FAA Experimental license. Most importantly, sale includes the option of acquiring an LLC with a spares arrangement via the Swedish government. Any supersonic jet aircraft is a fiendishly complex thing, so a close relationship with parts suppliers is of utmost importance. I guess Draken owners have to worry about spares just as much as anybody still driving an old 92. Check out the full listing right here on Platinum Fighters. Hat tip to Bring A Trailer!